"Bad Spell in Yurt" back in print! Welcome to "Daimbert.com," the C. Dale Brittain home page! If you've never visited here before, keep on reading. If you've visited before and want to know about my most recent publications, click here. Bob made me do it. He was the one who encouraged me to finish and then send off to publishers the book A Bad Spell in Yurt, which became my first published novel. He's also the one who created this home page, as well as being my co-author on Count Scar and my husband for many years now. 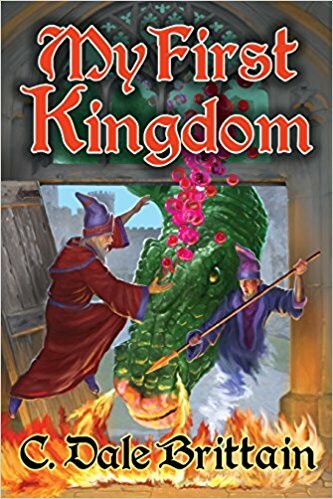 At this site you'll be able to find out about my various fantasy novels, as well as get links to my publishers and to booksellers. You'll also be able to look at some cover art. That's Daimbert, the wizard hero of A Bad Spell in Yurt, up above. The cover artist, Tom Kidd, made him look a whole lot like himself (though he's never worn a hat like that in his life). I'm both a medieval historian and a story teller. I've been writing stories since first grade--someone once told me they couldn't imagine making up stories, whereas I couldn't imagine not doing so. When I was 14 I read J.R.R. Tolkien's Lord of the Rings, and I've wanted to write fantasy ever since. However, at about the same time I became interested in the real Middle Ages, an interest cemented by a trip to Europe with my family in high school. So instead of trying to become a full-time writer (an extremely hard way to make a living), I decided to become a professor of medieval history (also an extremely hard way to make a living). But all through graduate school, and while teaching and writing scholarly books, I kept on writing some fantasy, mostly for my own enjoyment, though I would occasionally try a publisher, intermittently and with no success. When the characters and situations that form the core of A Bad Spell showed up in my brain, literally in a dream, giving me no choice but to write about them, the story seemed better than anything I'd done before. Bob was right to make me pursue it. Baen accepted it with remarkably little fuss, and the novel came out almost exactly 25 years after my first effort in my teen years to send a book-length manuscript to a publisher, thus making me an overnight success after 25 years of trying. My message of hope to would-be fantasy writers is not to give up, but to keep on writing and getting better--and, if you're going to set a fantasy in an imaginary version of the Middle Ages, learn some real medieval history! Where to buy my books? All are available as ebooks, but many (including me) prefer a real print book. The print versions are on sale on the on-line bookstores, or support your local bookstore! They can order any of my in-print titles. I'm also selling them myself if you'd like a signed copy. I've seen used copies of Is This Apocalypse Necessary? for sale for as much as $200 (! ), but I can sell you a brand new copy of Apocalypse for $14.95, signed! (plus shipping), and I also have signed copies of other titles. Email me for details. Email C. Dale Brittain and get put on the mailing list to learn about new books. EVEN NEWER! 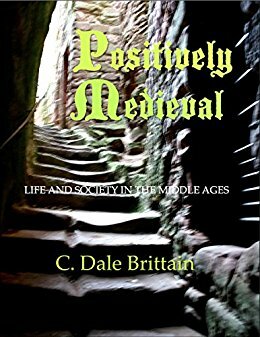 Follow my blog, "Life in the Middle Ages."